Anthuriums are one of the most popular tropical flowers with a long vase life of about six weeks and even more depending on the variety and season. The red, heart-shaped flower of Anthuriums is really a spathe or a waxy, modified leaf flaring out from the base of a fleshy spike (spadix) where the tiny real flowers grow. The anthurium flowers appear as a roughness on the spadix as compared to a smooth spadix. Most common colors of anthuriums are red and shades of red. In Greek, the name Anthurium means tail flower. The plant's stem lengths may grow to a height of 15-20 inches depending on the size of the spathe, i.e., the bigger the spathe, the longer the stem. Its leaves are usually simple, large, attractively colored and borne on long stalks. The flowering stalk is slender, ending in a fleshy column crowded with many unisexual flowers. They have leafy bracts which may be white, yellow, red, pink, orange or green. Being popular foliage plants, Anthuriums are grown for their attractive flowering bracts which are popular with the cut flower trade. All parts of the anthurium plant, are poisonous. If ingested, may cause mild stomach disorders. The anthurium plant's sap can cause skin irritation. Growing Anthuriums Anthuriums can be grown by 4 methods. They are by vegetative reproduction, seeds, tissue culture, and fertilization. Anthuriums grow on a wide range of soil types ranging from sandy loams to heavy clays. Anthuriums need a highly organic soil with good water retention capability and good drainage. A well-drained soil is important to prevent the rotting of stems and roots. Anthuriums should be planted in raised beds of 1.3 to 2 meters wide and 20 cm deep. Anthuriums should not be planted more than 5 cm deep, as deep planting results in the rotting of stems and roots. Stake the anthurium after planting for support. Water the anthuriums immediately after planting. A layer of coconut husks, semi-rotted wood, or sugar cane bagasse may be used. Mulching is needed for the anthuriums plants. Anthurium plant roots grow into the mulch and spread. Anthuriums Plant Care Remove dead and unsightly foliage and faded or brown flowers. Use a peat moss base. Anthuriums need a high light but not direct sunlight. Water your anthurium thoroughly, but allow it to dry slightly between waterings. Do not over-water the anthuriums as it may cause root damage and yellowing of the leaves. Fertilize the anthurium plant about every other month. Avoid draughts and strong temperature fluctuations. 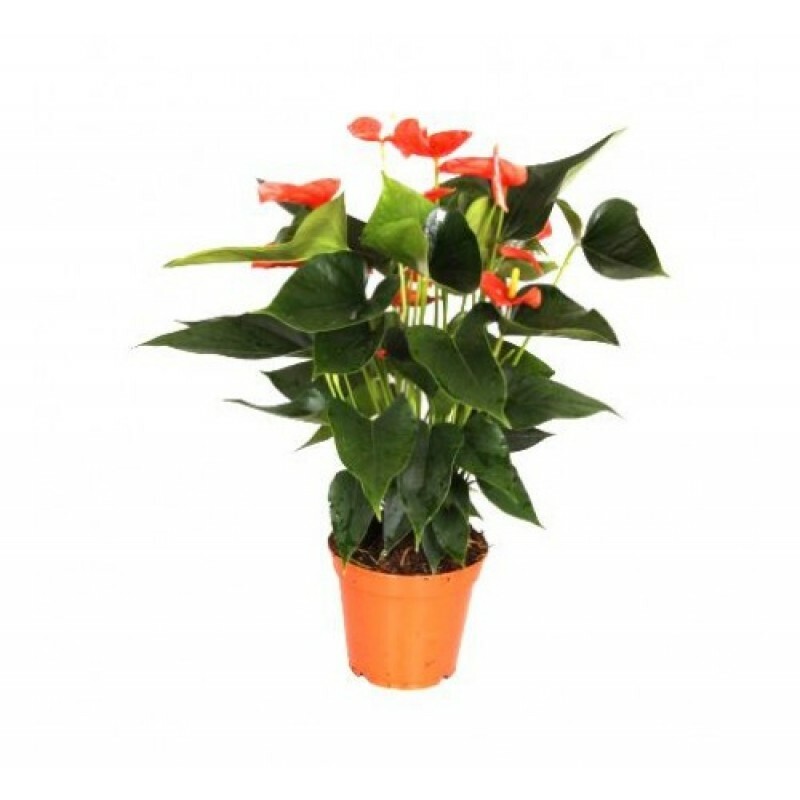 In winter, anthurium plants need a 6 week rest period at a 15Â°C with little water. This allows the plant to flower profusely again in the following season.